In Brazil, in the beginning of 70's, the more common sporting cars were Karmann Guia (in two versions, the traditional thrown in 1962, and TC, an attempt of giving new lines to the classic), produced by VW, and the Puma, produced by an independent company, although it used components mechanics of VW Beetle. The sales of Karmann-Ghia didn't have the same success of the Puma, that was in the peak and it was a true consumption dream. VW decided to participate in the sporting market with a new car, heady and modern, that could be better than Puma. This new sporting car, result of Rudolf Leiding's administration in the command of VW of Brazil, possessed several advantages on the competitors: it was built of steel plate and not of glass fiber as Puma, it possessed the warranty of the mark Volkswagen, it was not a simple adaptation based in chassis of Beetle, besides possessing a drawing modern, beautiful and heady. SP2, the first national car totally projected in the Brazil, it was drawn by Senor Schiemann, that from 1969 had already idealized the basic drawing of the car. The front of SP2 was inspired in the European model VW 412 (Type 4), (as well as the Brazilians Variant and Bras�lia, also created by Leiding). But, the works in the drawing board did begin in November of 1970, project this that was known as "Projeto X", and it was kept to seven keys by VW. Leiding was impressed with the drawing of the new car and it ordered to build a prototype to the Fair of the German Industry, in S�o Paulo, in March of 1971. After a lot of expectation, finally it was exhibited the public, dividing the attention of the fair with the prototype C111 of Mercedez Benz. As was already waited, the public's reactions and of the press were of the most positive, above all for the pleasant style of the car. During one more year still, the sporting of VW maintained the public in suspense, receiving small modifications and final successes to arrive to the market. Finally, in June of 1972 the new car, baptism of SP was thrown (initials of S�o Paulo, brazilian state where was idealized and produced) in the versions SP1 (1.584cc and 65 cv) and SP2 (1.678 cc and 75 cv). Most of the resellers just received the first car in July, and the release was a success. In the exterior, the sporting Brazilian it was also news. The German magazine Hobby announced him like "Volkswagen most beautiful of the world". Another publication, Car & Driver, North American, evaluated him SP2 and it shouted the German head office to produce him in world scale. 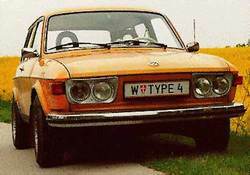 SP2 was built basically with chassis and mechanics of VW-Variant, with some differences, as front disk brakes and motor of 1679cc with couple carburetion (Solex 34 PDSIT). The 75cv to 5000rpm take SP2 for 100Km/h in only 17 seconds, a good mark for 1972. An interesting detail is the height of the car, of only 1158mm, lower than Karmann Ghia or Porsche 914. It was the lower brazilian car of series already produced. Your drawing is very beautiful, and he stays current until the days of today. SP2 possessed many uncommon details for the time, as the lateral friezes in red reflective, cleaners of windshields with stems pantografy and bumpers of rubber. Very complete panel with velocimeter, bill-turns, clock, ammeter, marker of fuel and oil temperature of the motor.Cigarettes lighter built-in, ventilation and map lights reading in the doors. It was also the first Brazilian model to possess lever of activate of the windshield cleaners in the direction column. Three thousand units were almost sold on that second semester of 1972. The following years, the demand fell, but, it maintained the stable market. The car didn't receive modifications, except new colors. In 1975, SP1 (that had only a few units) no longer it was more available, just staying SP2, that besides was already the popular name of the model. Also no longer there was plus the option of estofamento of the banks in leather. VW got to cogitate the substitution of the motor for other more potent, of VW-Passat (water cooled), in the front, whose prototype was called SP3. However, the cost of the investment for the normal production would be very high, and the doubtful return. Unhappily it didn't pass of a prototype. SP2 continued in line until February of 1976, with the mark of 10205 produced units, being that 670 units were exported to Europe. Elapsed today fourth in century of the release, and 21 years after having left scene, any one of the rare remainders of SP2, since you originate and impeccable, they continue getting the attention through where they pass. Your lines don't age. To be proprietor of a SP2 in good state, it is certainly a reason for a lot of satisfaction, being few collectors' and some museums privelege. A project so heady as the SP2, but destined to such a restricted market, certainly it would be today unthinkable for a great assembler. 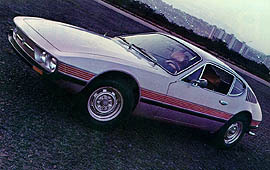 But VW SP2 was born in a golden time, in that the Brazilian automobile industry could feel to the luxury of dreaming.